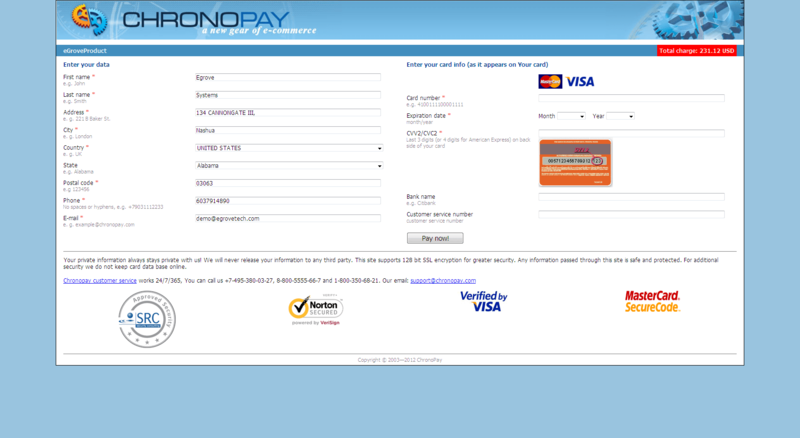 Accepts all major credit cards that are supported by ChronoPay. 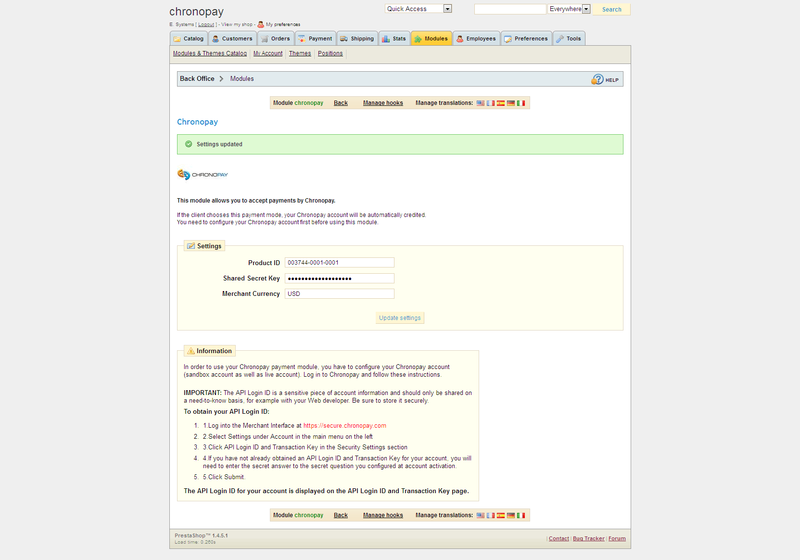 ChronoPay payment module compatible with PCI DSS﻿. Configurable for test and production account simultaneously for easy mode switching through admin interface. 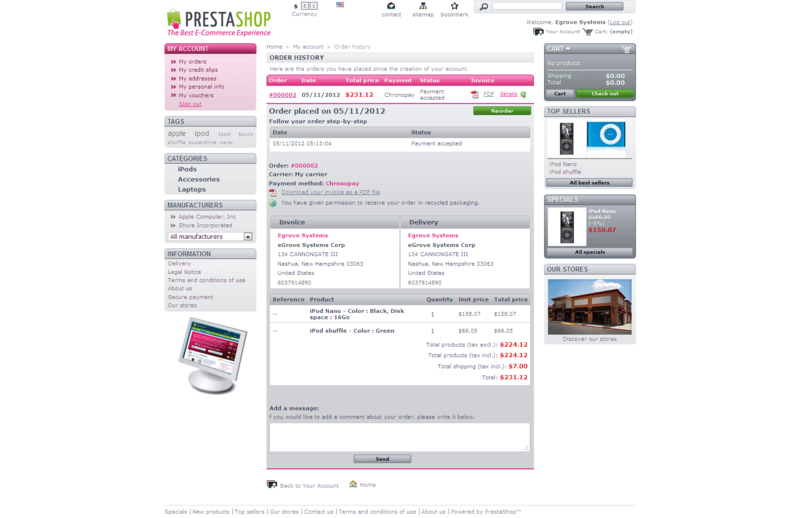 Can able to configure the response/ call-back URL for return to store page after payment. 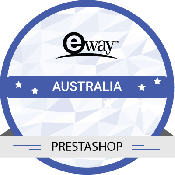 eGrove Prestashop ChronoPay Payment Module is a Prestashop module that enables the PrestaShop based ecommerce websites to accept payments through ChronoPay payment gateway services. 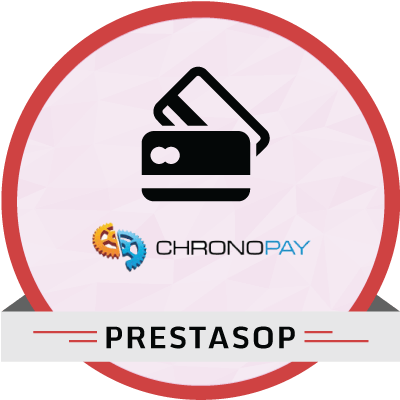 ChronoPay is a leading Internet payment service provider in the European market and provides Credit Card Online Payment Gateway services. In the ChronoPay payment method the customers will be redirected to ChronoPay payment Server for collecting card details and process the payments. 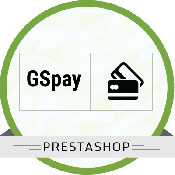 After successful completion of payment, it will be returning the customer to merchant site. The merchant should fulfill other requirements of acquiring a ChronoPay Merchant account as advised by ChronoPay Payments. 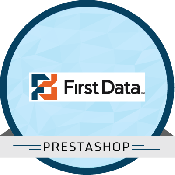 Unzip the downloaded module archive file; place the folder “ChronoPay” to Prestashop Module "YOUR_PrestaShop_ROOT/MODULE". Go to Admin section, select payment module and click install to install the module. 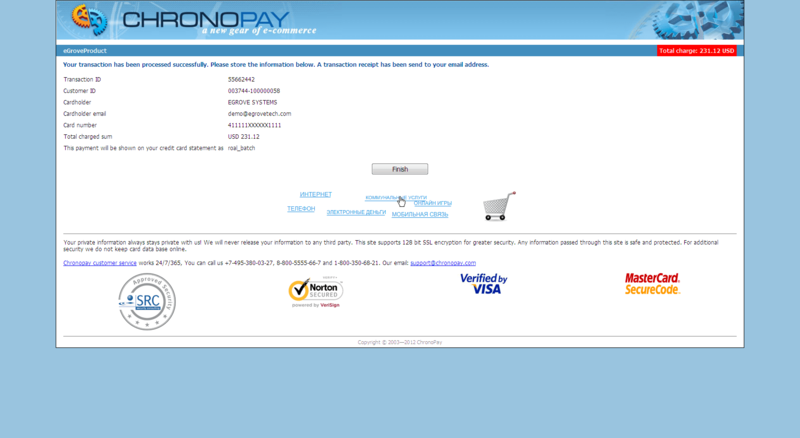 After installation, configure the module with the required parameters for this ChronoPay Payment gateway such as Merchant ID, secret and Mode of transaction (Test or Live mode). 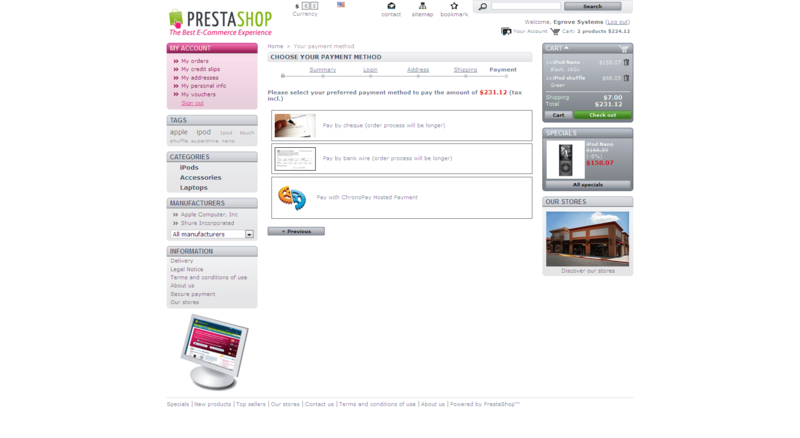 Send test payment and check the installation.